NCS is the country’s fastest-growing youth movement, a rite of passage for all teenagers aged 15-17 to discover who they are and what they can do. It’s your chance to explore, be inspired and find your passion with Rotherham United Community Sports Trust. To date, nearly 500,000 young people nationally have taken part. 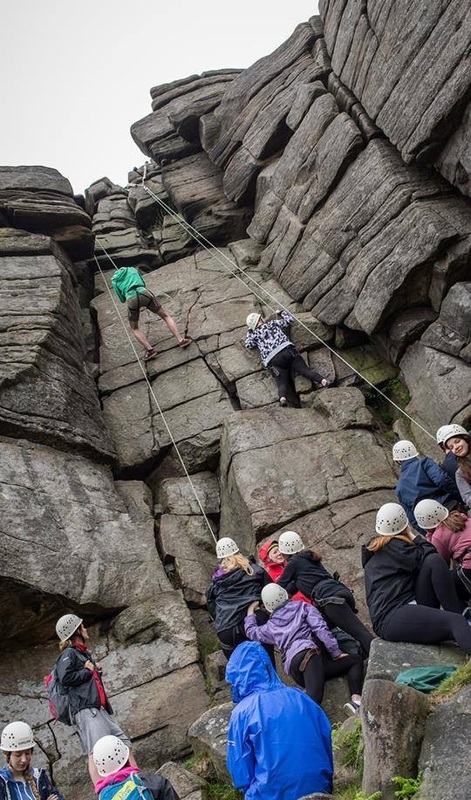 In Rotherham 2,500 young people have taken part in NCS…will you be next? We will never ask you for more than a £50 contribution, which will guarantee your spot on either our Summer or Autumn experiences. Everything is then all inclusive, from food to accommodation to transport to the amazing things you’ll be getting up to! Even better…. Rotherham United Community Sports Trust are running a special offer this Summer! If you sign up online NCS will cost only £35! In 3-4 weeks achieve more than you ever imagined – all for only £35! NCSYES.CO.UK – Book Your Place to receive £15 OFF! Feel the freedom of the outside world during five days away from home, taking on adrenaline-fueled activities like rock climbing, canoeing and archery. Your team will cheer you along every step of the way, sharing in every challenge, every success. Then you’ll have a few days back at home for some much-needed rest! Expect transformation, because this week is all about developing YOU. Living independently in University accommodation in Sheffield, you’ll learn essential life skills like cooking a meal for your friends, budgeting for yourself or attending pop-up interactive activity sessions. Phase 2 is all about developing life skills. You’ll take part in student themed activities including ‘a day in the life of a student”, the NCS Talent Show, MasterChef Challenge and the famous Neon Night party. It all looks great on your CV, whatever you do next. Now it’s time to make your mark. Back at home, you and your team will devise a community project based on an issue you feel passionate about. You have the skills and confidence to do anything! This is your chance to feel proud by making a real difference in your community.